NLH Solutions is proud to announce the launch of the Viking Mergers and Acquisitions redesigned website. 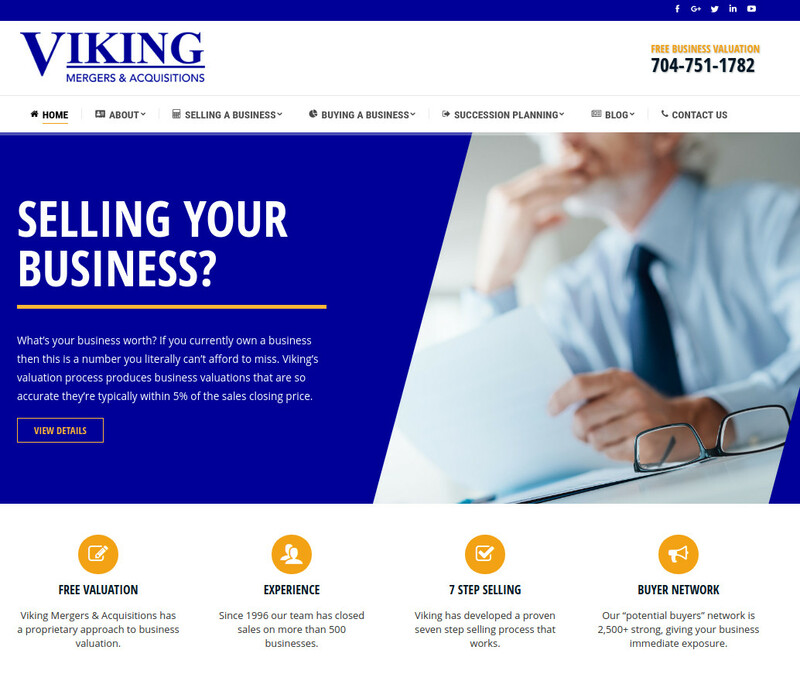 Viking Mergers and Acquisitions headquarters is in Charlotte, NC based company that helps business owners successfully traverse the ins and outs of selling their business. Viking has multiple office locations in North and South Carolina, and recently opened a branch in Tampa, Florida. The new site is built on the WordPress framework, and uses custom programming to easily allow Viking staff to setup new businesses for sale listings, and funnel leads to the correct sales adviser. This makes the need for ongoing maintenance by a web designer not needed. One of our primary goals at NLH Solutions is to create a website that our clients can easily maintain. If you need help with you website contact NLH Solutions.